Are you getting ready to complete your nursery? Is it time for your baby to move from their newborn sleeping arrangements into their own crib? Are you looking to replace your baby’s old crib mattress for a new and improved one? No matter how you look at it picking out a crib mattress is hard, there are so many different choices. In this article, we will go over the best crib mattresses for every budget. There are two types of crib mattresses: innerspring and foam. As long as you choose a high-quality mattress one type is just as good as the other. Both types of crib mattresses will provide enough support for your baby while they are sleeping, as well as retain their proper shape. An innerspring mattress contains coils inside the baby mattress. An innerspring mattress has numerous layers inside. The price of the mattress will vary based on the number of layers, what those layers are composed of, and the quality of the covering. These factors not only affect the price, they also affect the comfort of the mattress. Some innerspring mattresses offer a simple vinyl cover that you can quickly wipe clean. Others offer two different coverings; these are known as dual-firmness mattresses. They offer a foam pad on one side for a firmer sleeping surface and a vinyl cover on the other for a softer sleeping surface using the innerspring coils. A foam mattress is typically made up of polyurethane. With foam mattresses, you can find ordinary foam mattresses or you can find orthopedic ones. Foam mattresses will vary in firmness and density. What features you look for in the best crib mattresses will depend on the type of mattress you are purchasing. Foam mattresses offer different features than innerspring mattresses and vice versa. If purchasing a foam mattress you need to consider the foam density. To compare the density from one mattress to another you need to look at the different weights of each mattress. Finding this information in a store can be difficult, but you can always find it online. Testing the density can be done by placing your hands on each side of the mattress and pushing your hands together. The denser mattresses will not allow you to push your hands together very far. Your best foam mattresses are going to be on the heavier side and will be extremely firm. To test the firmness of the mattress you need to press on the mattresses along the edges and in the center. You want to avoid mattresses that conform to the shape of your hand, as that will be too soft to support your baby’s head. You need a firm mattress that snaps back into place. When it comes to an innerspring mattress you need to remember that the more layers the mattress has the better its quality. You also need to look at the quality of those layers. Heavier innerspring mattresses are often a better quality because of the materials used, better cushioning and heavier gauged steel. These rods are located around the border of the mattress. You will find them along the top and bottom perimeter. Using rods add to the firmness and durability of the mattresses. These rods also make the edge of the mattress stronger as they provide more support. The better supported the edges are the less likely the mattress will sag when baby stands along the edge. When looking at an innerspring mattress you don’t need to just look at the number of coils or springs located inside the mattress, that is a marketing gimmick. A mattress with a high coil count doesn’t mean it is a better mattress. You really want to look at the amount of steel found in the innerspring mattress rather than the number of coils. When looking at the coils you need to gauge of the steel as well as the number of coils. The lower the gauge number the thicker the coils will be. Find an innerspring mattress that offers a lower gauge of steel with a decent amount of coils. With innerspring mattresses, you need to look at the insulator pad that is located on top of the steel coils. This insulator pad is what prevents the coils from poking through the top of the mattress. Your low-quality insulator pads are made from woven polyester and might feel good in the store, but will not hold up over time. Plastic-mesh insulator pads also need to be avoided, as they are a lower quality. Insulator pads made from coir fiber are the highest quality pads you can find. Fiber-wrap pads, which are made from pressed scraps of cloth, and compressed hard felt, are also a good quality. The layers are what provide the cushioning between the top of the mattress and its coils. Foam and cotton layers are considered high-quality but will increase the price. Polyester is not as expensive as cotton and foam and doesn’t form pockets so it offers a decent quality. Never purchase a crib mattress without knowing what the layers are made up of. You want either a fabric or vinyl cover that surrounds the whole mattress. Vinyl doesn’t have the breathability that fabric does, but ventilation holes will help air to circulate. Vinyl with multiple layers will resist punctures, stains, or tears better than fabric too. When looking at covers you want a three-ply cover to give the mattress a tougher shell. If you are looking for a crib mattress that will fit both a crib and a toddler bed without breaking the bank the Safety 1st Heavenly Dreams is an excellent choice. The innerspring mattress contains a high-density thermo-bonded fiber core that is made from polyester. 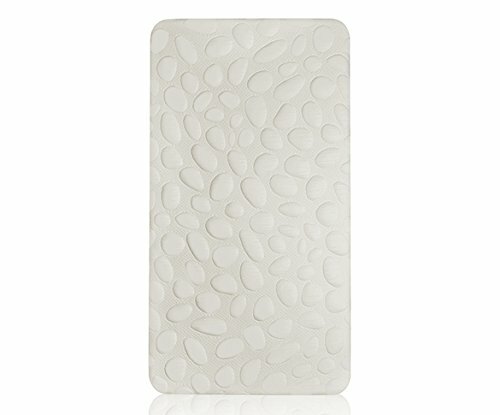 The unique make-up of the mattress provides your baby with plenty of support but is lightweight enough to allow for easy flipping. The outer cover is 100% vinyl allowing the mattress to be water resistant and provide your baby with a hypoallergenic sleeping surface. As a GreenGuard Cold certified mattress, this one meets the standard for low-chemical emissions and it also meets the federal flammability standards. If you are looking for an affordable foam mattress for your crib or toddler bed the Graco Premium Foam Crib Mattress is an excellent choice. The mattress is made from a breathable foam to maximize air flow to help your baby sleep better at night. 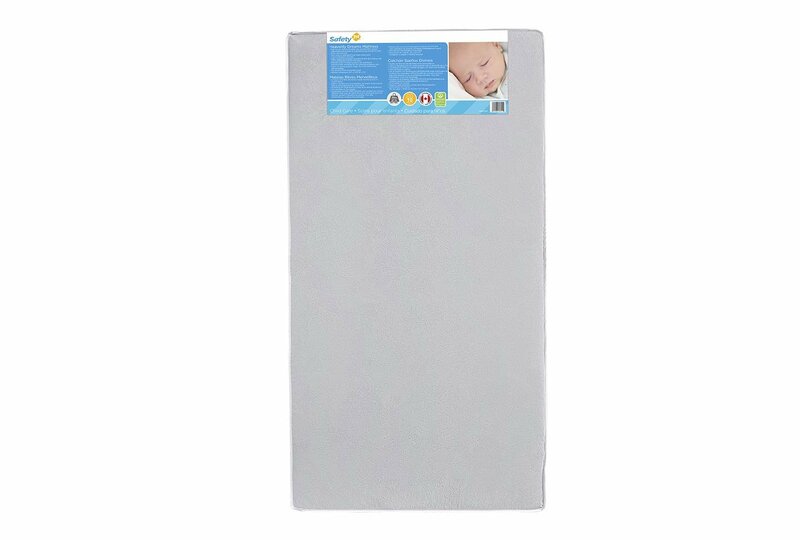 The water-resistant lining protects the mattress and helps keep your baby dry as they sleep. Made with anti-static and anti-microbial materials the foam mattress is free of phthalates and lead making it perfectly safe for your baby. 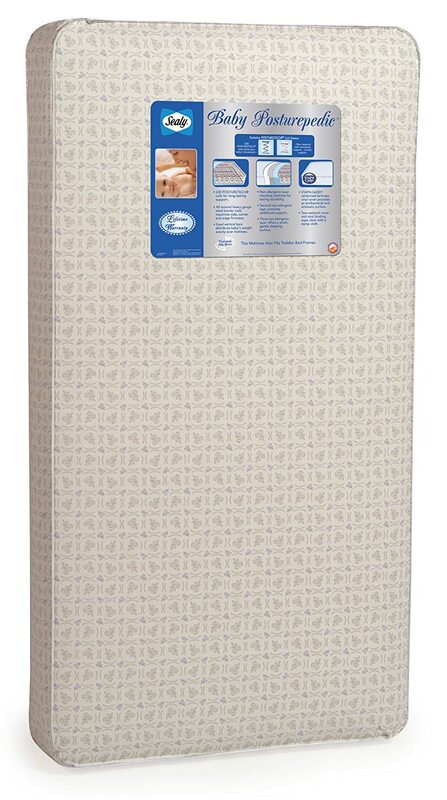 The Sealy Baby Posturepedic features a 220 coil system that is designed to sense baby’s movements. The sensing of movement allows for the mattress to respond to each movement with the correct support. The mattress features heavy gauge steel border rods to provide the strength the mattress needs along the sides, corners, and edges. Baby’s weight is evenly distributed across the mattress’s surface via the steel vertical bars. The mattress contains two non-allergenic layers for cushioning. The STAPH-GARD waterproof cover helps prevent the spread of germs and provides an easy to clean surface that protects the mattress. With the Sealy Tranquillity Eco Firm Crib Mattress, you will find a 120 heavy duty innerspring coils with a full perimeter border wire with Ortho-insulated layers for extra support. The layers inside the mattress provide comfort with blended cotton layers on the toddler side. The two-sided design comes complete with air vents to keep the mattress fresh and provides enough durability for several years of use. One side of the mattress provides a firm sleeping surface for infants, while the other side offers the cushioning preferred by toddlers. 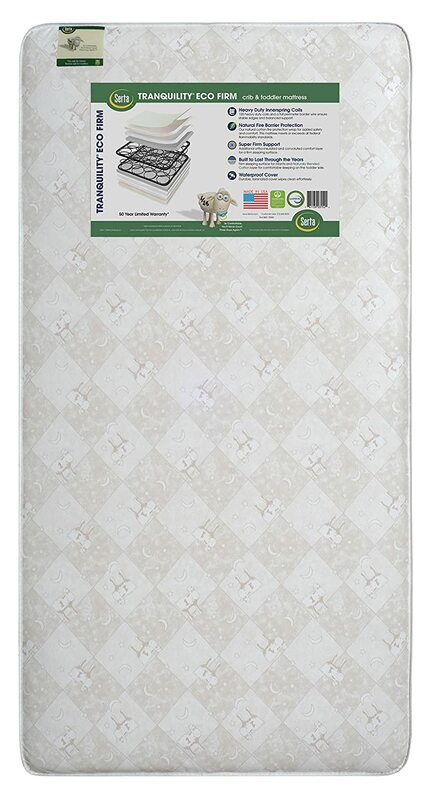 The Newton Wovenaire Crib Mattress is one of the safest and healthiest mattress for your baby to sleep on. The mattress has been GREENGUARD Gold Certified and has the lowest VOC’s. The mattress does not use any foam, latex, glue, or springs and is 100% recyclable. The 100% breathable mattress is fully washable and provides the best comfort for both infants and toddlers. The unique design not only allows air to flow freely for the best breathability it also helps with temperature regulation. The mattress’s Wovenaire core is made up of 905 air and 10% food-grade polymer to provide the same comfort as foam and innerspring mattresses without any of the negative effects. If you are after an organic mattress, one that doesn’t use flame retardants, the Nook Sleep Pebble Air Ultra Lite Crib Mattress is an excellent choice. To provide lightweight comfort and breathability the Lite model uses a non-toxic CertiPUR foam that has been fused with non-toxic PETE. With foam air channels inside the feather lite mattress, this model provides optimum airflow for when a baby is sleeping. The dual-sided construction makes this an excellent choice for a mattress that grows with your baby. The patented mattress cover uses a Nano-technology to offer a natural water resistance. Any liquid spilled on the cover will bead together on top for a period of 30 minutes. 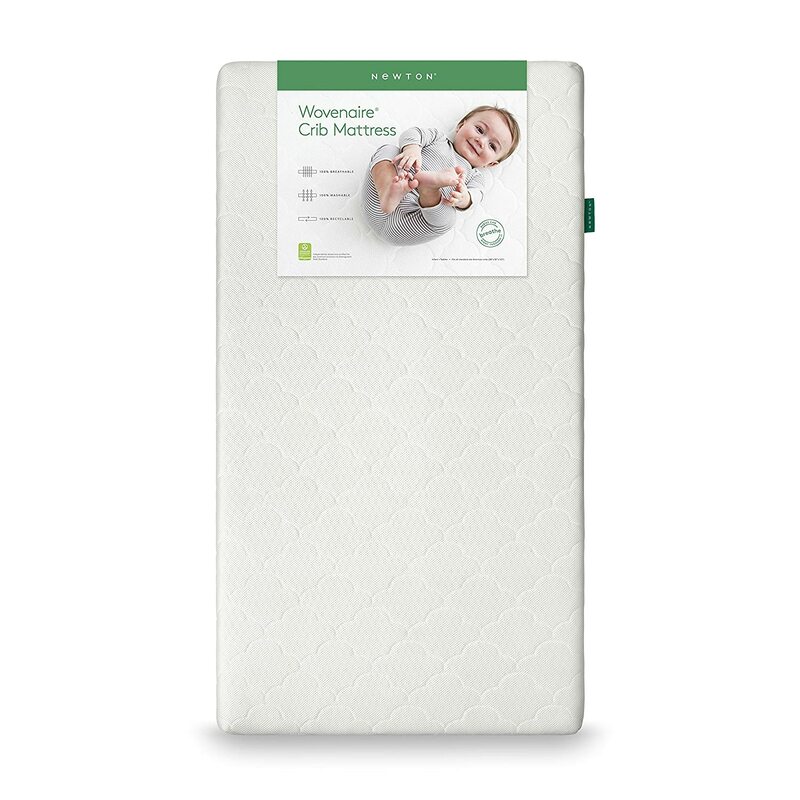 The Millard Memory Foam Crib Mattress offers your baby a better night’s sleep as it keeps comfort, support, and luxury in its unique design. The mattress features a firm foam base that is topped with a top quality memory foam. The ultra-soft bamboo cover is removable and machine washable, as well as waterproof. The foam is hypoallergenic Certi-PUR foam that is designed to resist allergens, mold, dust mites, and bacteria making it an excellent choice for babies and toddlers with asthma and allergy issues. The all-natural mattress uses safe and natural fiberglass to meet the fire safety standards without harsh chemicals. 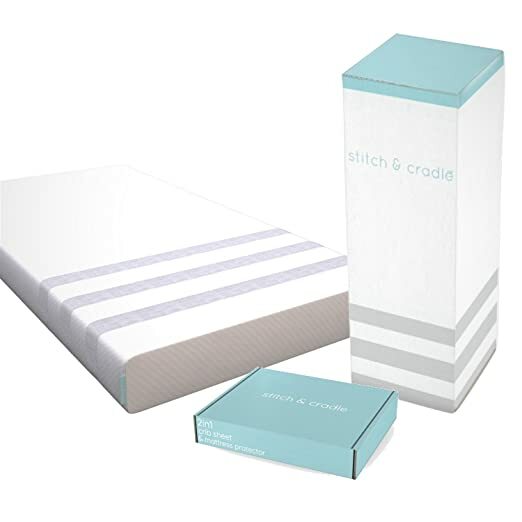 One of the great things about the Stitch & Cradle 2-in-1 Crib Mattress is it was made with your child’s comfort and more importantly safety in mind. The foam used in this crib mattress is Non-toxic. It is naturally poured foam that gives no chemical off-gassing so no worries about baby breathing in toxic chemicals. 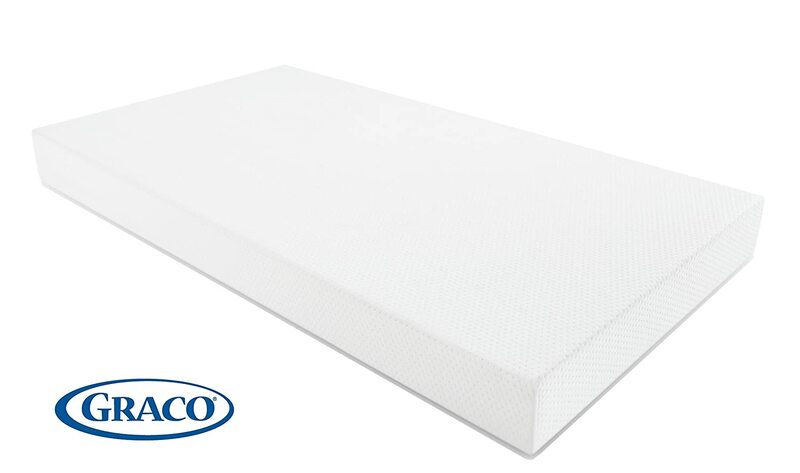 The crib mattress uses an open cell foam that has hundreds of holes cut throughout for maximum airflow and breathability, as well as minimizing heat retention. 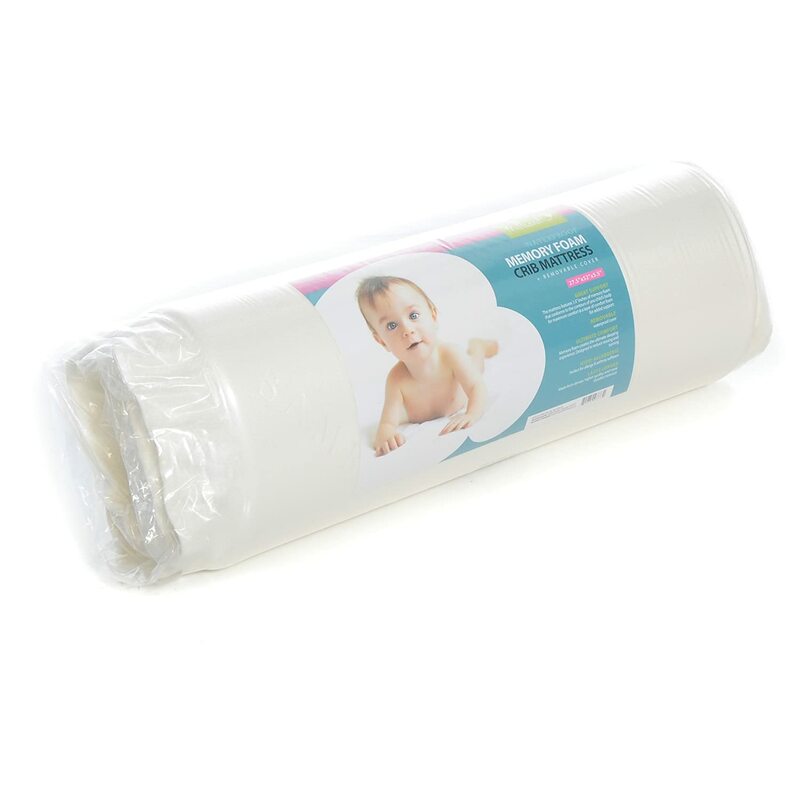 The high-density foam provides non-sinking support for when a baby is sleeping. The machine washable cover is made from 100% polyester and easily zips on and off.